Marvel Spider-Man USA PS4 720 600 руб. Marvel Spider-Man Digital Deluxe Edition USA PS4 720 600 руб. Marvel Spider-Man+LEGO MARVEL Super Heroes 2+5 Games EU PS4 960 800 руб. PS4 Marvel Spider-Man+The Crew 2 ENG 960 800 руб. PS4 Marvel Spider-Man+Need for Speed USA 960 800 руб. PS4 Assassin Creed Odyssey+NBA 2K19+Spider-Man+Games ENG 960 800 руб. PS4 Marvel Spider-Man+Call of Duty:Black Ops 4 USA 960 800 руб. PS4 JUMP FORCE Ultimate+Marvel Spider-Man+DLC USA 1020 850 руб. Marvel Spider-Man Deluxe+God of War Deluxe EU/RU PS4 1200 1000 руб. Marvel’s Spider-Man: The City that Never Sleeps PS4 USA250 руб. Marvel's Spider-Man: The City That Never Sleeps PS4 USA399 руб. Marvel’s Spider-Man: The City that Never Sleeps PS4 EUR/RUS399 руб. Marvel's Spider-Man (PS4) USA600 руб. Marvel's Spider-Man (PS4) ASIA600 руб. Marvel's Spider-Man Deluxe PS4 USA600 руб. Marvel's Spider-Man PS4 EU - 2018600 руб. Marvel’s Spider-Man Digital Deluxe Edition PS4 USA600 руб. Marvel's Spider-Man ENG/PS4 600 руб. Marvel's Spider-Man PS4 USA600 руб. Marvel's Spider-Man ( EU/PS4 )600 руб. Marvel's Spider-Man Digital Deluxe Edition PS4 USA600 руб. Marvel's Spider-Man PS4 USA 600 руб. Marvel’s Spider-Man PS4 USA600 руб. Marvel's Spider-Man PS4 ENG600 руб. Marvel’s Spider-Man Digital Deluxe Edition PS4 EUR600 руб. 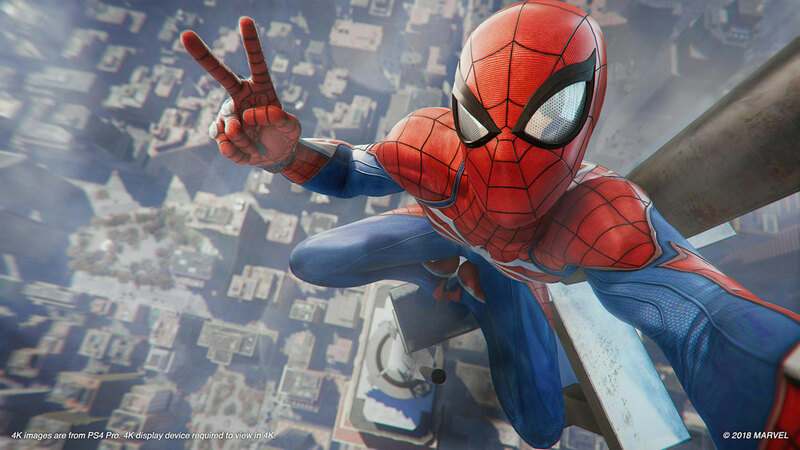 Marvel's Spider-Man PS4 USA - 2018!600 руб. Marvel's Spider Man PS4 JP600 руб. Marvel's Spider-Man PS4 USA603 руб. Spyro Reignited Trilogy+Spider-Man Digital Deluxe (PS4) USA700 руб. Marvel’s Spider-Man PS4 ENG700 руб. Marvel's Spider-Man and games PS4 USA700 руб. Marvel's Spider-Man |USA| PS4700 руб. Marvel's Spider-Man (EU) PS4700 руб. Marvel's Spider-Man (USA) PS4700 руб. Marvel's Spider-Man (ENG) PS4700 руб. Marvel’s Spider-Man PS4 EUR700 руб. Marvel's Spider-Man PS4 ENG700 руб. PS4(USA) Marvel's Spider-Man 700 руб. Marvel's Spider-Man Digital Deluxe Edition PS4 ENG750 руб. Marvel's Spider-Man Digital Deluxe Edition (USA) PS4799 руб. Marvel's Spider-Man - DDE + God of War PS4 ENG800 руб. Marvel's Spider-Man + SHADOW OF THE COLOSSUS PS4 USA800 руб. Marvel's Spider-Man + FINAL FANTASY XV PS4 USA800 руб. Marvel's Spider-Man+MONSTER HUNTER+Batman RtA+PS+ PS4 USA800 руб. Marvel's Spider-Man+NBA 2K19+PES 2018+BF1 (PS4) USA800 руб. Marvel’s Spider-Man+MONSTER HUNTER: WORLD PS4 EUR800 руб. Marvel's Spider-Man+No Man's Sky+NBA 2K18 PS4800 руб. Marvel's Spider-Man+Crash Bandicoot+Last Of Us (PS4) ENG|MX800 руб. Marvel's Spider-Man Digital Deluxe+Overwatch (PS4) USA800 руб. Marvel's Spider-Man Digital Deluxe+Rocket League (PS4) USA800 руб. Spider-Man Deluxe+UNCHARTED 4+Ratchet & Clank (PS4) USA800 руб. Marvel's Spider-Man+Batman: Arkham Knight (PS4) USA800 руб. Marvel's Spider-Man+AC Odyssey+NHL 19 (PS4) USA800 руб. Call of Duty: Black Ops 4+Spider-Man+GOW (PS4) USA800 руб. Marvel's Spider-Man Digital Deluxe Edition+Overwat (PS4) ENG800 руб. Call of Duty: Black Ops 4+SPIDER-MAN+CRASH+GT SPORT(PS4)USA800 руб. Marvel's Spider-Man Deluxe+For Honor+PS PLUS 12(PS4)USA800 руб. Marvel's Spider-Man+NFS Payback Deluxe+Crew+LEGO (PS4) USA800 руб. Marvel's Spider-Man+God of War+Black Ops 4+Far Cry 5(PS4)US800 руб. Spider-Man+God of War+AC Origins+Monster Hunter (PS4) USA800 руб. NHL 19+Marvel's Spider-Man+NFL 19 (PS4) USA800 руб. 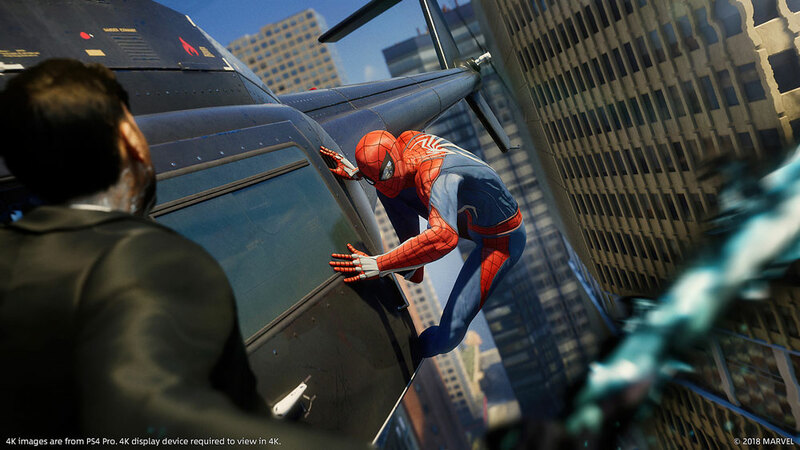 Marvel's Spider-Man Digital Deluxe(PS4) ENG|BRASIL800 руб. Spider-Man+DARK SOULS™ III PS4 USA 800 руб. Marvel's Spider-Man + 7 Days to Die + gms USA/PS4800 руб. God of War+Marvel's Spider-Man (PS4) ENG800 руб. Marvel's Spider-Man + Uncharted 4: A Thief’s End PS4 USA800 руб. Marvel’s Spider-Man+Far Cry5+Crash Bandicoot (PS4) USA800 руб. Marvel's Spider-Man+Lost Legacy+Witcher 3 (PS4) USA800 руб. Marvel's Spider-Man+NBA 2K19 (PS4) USA800 руб. Marvel's Spider-Man + Black Ops 4 + Overwatch PS4 ENG800 руб. Marvel's Spider-Man+Bloodborne+NieR: Automata (PS4) USA800 руб. Marvels Spider-Man+FIFA 19+Need for Speed+Unravel Two PS4 EN800 руб. Marvel's Spider-Man+Fallout 76+NFS Payback+Forsaken(PS4)USA800 руб. Spider-Man+God of War+Uncharted 4+No Man's Sky (PS4) USA800 руб. Marvel's Spider-Man + Gran Turismo Sport PS4 ENG800 руб. Anthem Legion of Dawn+ Spider-Man+ God of War PS4 USA800 руб. Battlefield V + Marvel’s Spider-Man PS4 ENG800 руб. Marvel's Spider-Man+Black Ops 4+Battlefront II+Crash(PS4)US800 руб. Marvel's Spider-Man+MONSTER HUNTER+Uncharted 4 (PS4) USA800 руб. Marvel's Spider-Man+RE7+NFS Deluxe+DOOM+GAME (PS4) USA800 руб. Assassin's Creed Odyssey+Marvel's Spider-Man (PS4) USA800 руб. Marvel’s Spider-Man+The Sims™ 4 PS4 EUR800 руб. Marvel’s Spider-Man Deluxe Edition + The Last Of Us PS4 USA800 руб. Marvel’s Spider-Man Deluxe Edition + PS Plus +2GAMES PS4 EUR800 руб. Marvel's Spider-Man+Batman: Arkham Knight+Crash (PS4) USA800 руб. Marvel’s Spider-Man Digital Deluxe + NieR + DOOM PS4 EUR800 руб. Call of Duty: Black Ops 4 + Marvel's Spider-Man PS4 USA800 руб. Marvel's Spider-Man+ Spyro+ Crash Bandicoot N. Sane PS4 USA800 руб. Marvel's Spider-Man+MONSTER HUNTER: WORLD (PS4) USA800 руб. Marvel's Spider-Man+Just Cause 4+Fortnite (PS4) USA800 руб. Spider-Man + God of War + Need for Speed PS4 USA800 руб. EARTH DEFENSE FORCE 5 + Spider-Man + GAMES PS4 EUR800 руб. Marvel's Spider-Man Deluxe+NBA 2K19+Terraria+Batman(PS4)USA800 руб. Marvel's Spider-Man+NBA 2K19+COD WWII (PS4) USA800 руб. Marvel's Spider-Man + 2GAMES PS4 USA800 руб. Marvel's Spider-Man+ The Crew 2+ COD Black Ops 4 PS4 ENG800 руб. Marvel's Spider-Man + MONSTER HUNTER: WORLD PS4 EUR800 руб. NBA 2K19 + Marvel's Spider-Man PS4 USA800 руб. Marvel's Spider-Man+God of War+Monster+Evil Within® 2(PS4)EN800 руб. Marvel's Spider-Man+ UNCHARTED+ Assassin Syndicate PS4 EUR800 руб. Marvel's Spider-Man Digital Deluxe + NBA 2K19 PS4 USA800 руб. Marvel's Spider-Man Deluxe + The Witcher 3: Wild Hunt PS4 EN800 руб. Marvel's Spider-Man+ FAR CRY 5+ Last Guardian+ Games PS4 USA800 руб. Marvel's Spider-Man + Overwatch Legendary Edition PS4 USA800 руб. Battlefield V + Marvel's Spider-Man PS4 USA800 руб. Marvel's Spider-Man + EA SPORTS NHL 19 PS4 USA800 руб. Marvel's Spider-Man+ Spyro+ NBA 2K19+ COD WWII PS4 USA800 руб. Marvel's Spider-Man + Call of Duty: Black Ops 4 PS4 USA800 руб. Marvels Spider-Man Deluxe+Call of Duty: Black Ops III PS4 EN800 руб. Spider-Man+Black Ops 4+NFS Payback+Crash+FF XF (PS4) USA800 руб. Spider-Man+Battlefield V+Spyro Reignited+NFS (PS4) USA800 руб. God of War + Odyssey + Spider-man + 3GAMES PS4 USA800 руб. Marvel's Spider-Man + NBA 2K19 PS4 USA800 руб. Spider-Man+ Assassin's Odyssey+ Spyro+ The Crew 2 PS4 EUR800 руб. Marvel's Spider-Man + Uncharted 4: A Thief’s End PS4 EU/RUS800 руб. Anthem + Marvel's Spider-Man PS4 ENG800 руб. God of War 2018+ Spider-Man+ Hellblade+ Crash+ Games PS4 USA800 руб. Spider-Man+ SHADOW OF THE COLOSSUS+ EARTH DEFENSE PS4 USA800 руб. Marvel's Spider-Man + COD WWII + COD IW + 4GAMES PS4 USA800 руб. NBA 2K19 + Spider-man + COD WWII + COD IW PS4 USA800 руб. Marvel's Spider-Man + The Last Of Us Remastered PS4 USA800 руб. God of War (2018)+ Spider-Man+ Evil Within 2+ Games PS4 ENG800 руб. Spider-Man+ Black Ops 4+ EA SPORTS NHL 19+ Overwatch PS4 USA800 руб. Spider-Man + Black Ops 4 + Call of Duty: WWII PS4 USA800 руб. Marvel's Spider-Man + Spyro Reignited Trilogy PS4 USA800 руб. Marvel's Spider-Man + DARK SOULS III - Deluxe Edition PS4 US800 руб. Marvel's Spider-Man + Call of Duty: Black Ops III PS4 USA800 руб. Marvel’s Spider-Man + God of War (2018) PS4 ENG800 руб. Marvel’s Spider-Man + Assassin's Creed Odyssey PS4 EUR800 руб. Marvel's Spider-Man + Monster Hunter: World + 8GAMES PS4 USA800 руб. Marvel's Spider-Man + Crash BandicootN. Sane Trilogy PS4 US800 руб. Marvel’s Spider-Man+ NFS Payback+ Assassin's Origins PS4 EUR800 руб. Marvel's Spider-Man/Call of Duty®: Black Ops 4 and.PS4 USA899 руб. PS4 Marvel's Spider-Man Digital Deluxe Edition+God of War US900 руб. PS4 Marvel's Spider-Man+Madden NFL 19+Gran Turismo Sport USA900 руб. Marvel’s Spider-Man Deluxe+Friday the 13th+PSPlus PS4 EUR900 руб. Spider-Man+Uncharted 4: A Thief’s End+2GAMES PS4 USA900 руб. Spider-Man Deluxe+LEGO Marvel Super Heroes 2+4GAMES PS4 USA900 руб. Marvel’s Spider-Man+God of War+2GAME+PSPlus PS4 EUR900 руб. Marvel's Spider-Man +Shadow of Mordor +The Witcher 3 PS4 ENG900 руб. God of War Digital Deluxe Edition + 1 GAME |USA| PS4900 руб. PS4(USA)God of War+Marvel's Spider-Man900 руб. Divinity: Original Sin 2 - Definitive Edition+2GAMES PS4 USA900 руб. FAR CRY 5 + Spider-Man + Gran Turismo + GoW + Game PS4 USA900 руб. Battlefield™ V + Spider-Man + CoD WWII PS4 USA900 руб. Spider-Man + CoD WWII + NBA 2K18 + 3 Games PS 4 USA900 руб. God of War + Persona 5 + NieR: Automata + Games PS4 USA900 руб. Marvel's Spider-Man + Battlefield 1 + No Man's Sky PS4 ENG900 руб. Marvel's Spider-Man + PS Plus: 12 Month Membership PS4 ENG900 руб. Marvel's Spider-Man + The Last Of Us Remastered PS4 ENG900 руб. Marvel's Spider-Man Digital Deluxe+3 GAMES (USA) PS4900 руб. PS4 Marvel's Spider-Man+God of War+Persona 5+3 Games USA950 руб. Call of Duty®: Black Ops 4 + 6 GAMES |USA| PS4999 руб. Marvel's Spider-Man + 2 GAMES |USA| PS4999 руб. Assassin’s Creed® The Ezio Collection RUS + 1GAMES |EUR| PS4999 руб. Anthem + Far Cry 5 + Spider-man + God of War +4GAMES PS4 USA999 руб. Rock Band 4 Rivals Bundle + Spider-man + 10GAMES PS4 USA999 руб. LEGO DC Super-Villains + Lego City+Spider-man+3GAMES PS4 USA999 руб. Marvel's Spider-Man+YAKUZA 6: The Song of Life+RDR2(USA) PS41000 руб. RDR 2+Marvel's Spider-Man+BATMAN+Uncharted 4 (PS4) USA1000 руб. PS4 NHL™ 19, Marvel's Spider-Man Assassin’s Creed® Ori(ENG)1000 руб. Marvel's Spider-Man (PS4) UK|RU1000 руб. Marvel’s Spider-Man PS4 EUR/Spain1000 руб. Marvel's Spider-Man+The Order+God of War+Monster Hunt(PS4)US1000 руб. PS4 Just Cause 4, FIFA 19 Ul, Battlefield V, Spider-Ma (ENG)1000 руб. PS4 Just Cause 4, Marvel’s Spider-Man, FIFA 19 (EUR)1000 руб. Anthem+Marvel's Spider-Man+RDR 2+Monster Hunter (PS4) USA1000 руб. Spyro™ Reignited Trilogy + 2 GAMES |USA| PS41000 руб. Marvel's Spider-Man+FIFA 19 (PS4) USA1000 руб. Red Dead Redemption 2 + Marvel's Spider-Man PS4 USA1000 руб. FIFA 19 + Marvel’s Spider-Man + Call of Duty: WWII PS4 EUR1000 руб. Red Dead Redemption 2: Ultimate + Spider-Man PS4 USA1000 руб. RDR 2+Marvel's Spider-Man+COD Black Ops 4 (PS4) USA1000 руб. RDR 2+Fallout 76+NFS Payback+Spider-Man+Black Ops 4(PS4)USA1000 руб. Marvel's Человек-паук PS4 РОССИЯ1000 руб. SOULCALIBUR VI + RDR 2 + Spider-man + 5GAMES PS4 USA1000 руб. Red Dead Redemption 2 + Spider-man + FC5+5GAMES PS4 EUR1000 руб. God of War + RDR2 + Spider-man + Far Cry 4 PS4 USA1000 руб. Spider-Man + God of War+FIFA 19+Black Ops 4+4GAMES PS4 USA1000 руб. Red Dead Redemption 2 +Black Ops 4 +Spider-man+NFL19 PS4 USA1000 руб. God of War + Spider-man + RDR 2 + 4GAMES PS4 USA1000 руб. Fallout 76 + Odyssey + FIFA 19 + Spider-Man + GAMES PS4 EUR1000 руб. PS4 Marvel’s Человек-Паук Расширенное цифровое издание РУС1000 руб. Marvel's Spider-Man Digital Deluxe Edition PS4 RUS1000 руб. FIFA 19 + NHL 19 + Spider-man + 3GAMES PS4 USA1000 руб. Red Dead Redemption 2 + Spider-man + Black Ops 4 PS4 USA1000 руб. A Way Out+RDR2+Battlefield 4+Spider-Man+FIFA 18(USA) PS41000 руб. Red Dead Redemption 2 + Spider-man + GT Sport PS4 USA1000 руб. Marvel's Spider-Man +RDR2 (EU) PS41000 руб. (RU) Marvel's Spider-Man PS41000 руб. Marvel’s Spider-Man PS4 EU/RUS + ПРОМО-КОД!1000 руб. Call of Duty®: Black Ops 4 + 2 TOP GAMES |EUR| PS41001 руб. Marvel's Spider-Man (PS4/RUS) Гарантия1050 руб. COD Black Ops 4+Marvel's Spider-Man+God of War(PS4)USA1050 руб. Marvel's Spider-Man PS4 RUS (РУССКАЯ ВЕРСИЯ)1090 руб. Red Dead Redemption 2 + Spider-man + Anthem +5GAMES PS4 USA1099 руб. Marvel's Spider-Man (RU) PS41100 руб. Marvel's Человек-паук + Plus 12 месяцев PS4 РОССИЯ1100 руб. 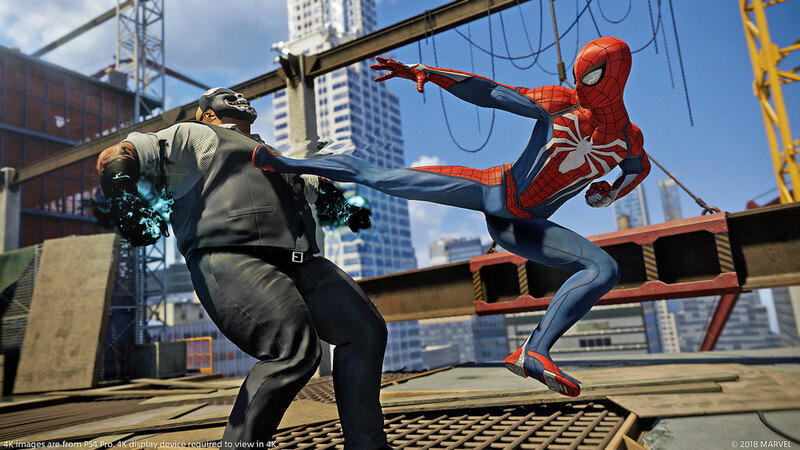 Marvel’s Spider-Man+HITMAN+PS Plus 25/11/2019+GAMES PS4/EU1100 руб. NHL 19 + Marvel's Человек-паук PS4 РОССИЯ1100 руб. Black Ops 4 + Redemption 2 + 2 GAME PS4 USA1122 руб. PS4 Marvel’s Spider-Man+CoD:Black Ops 4+God of War EUR1200 руб. Red Dead Redemption 2+Black Ops 4+Spider-Man PS4 USA1200 руб. Red Dead Redemption 2/Marvel’s Spider-Man and.PS4 USA1200 руб. Тени Мордора + Человек-Паук + ТОП ИГРЫ PS4 Россия1200 руб. Marvel’s Spider-Man + FIFA 19 PS4 EUR/ RUS1200 руб. Red Dead Redemption 2+Marvel’s Spider-Man Deluxe (PS4) USA1200 руб. PS4 Marvel’s Spider-Man, God of War Digital (EUR)1200 руб. RDR 2+Spider-Man+God of War+Far Cry® 5 (PS4) USA1200 руб. Red Dead Redemption 2+Marvel Человек-паук(PS4/RUS)1200 руб. RDR 2+Fallout 76+Spider-Man+Black Ops 4+Uncharted4(PS4)US|RU1200 руб. RDR 2+God of War+Spider-Man+Monster Hunter+TLOU (PS4) EN|RU1200 руб. PS4 RDR2 Ul, NHL 19, Spider-Man Digita, WWII (USA)1200 руб. RDR 2+Spider-Man+God of War+Crash+Far Cry® 5 (PS4) EN|RU1200 руб. RDR 2+FIFA 19+Marvel's Spider-Man+Battlefront II (PS4)EU|RU1200 руб. Marvel's Spider-Man+FIFA 19+Crash+Black Ops 4 (PS4) UK|RU1200 руб. Redemption 2+ SOULCALIBUR 6+ Marvel’s Spider-Man PS4 EU/RUS1200 руб. Человек-Паук + Одни из нас + ИГРЫ PS4 РОССИЯ1200 руб. Marvel’s Человек-Паук +Коллекция игр LEGO+10ИГР PS4 EUR/RUS1200 руб. God of War Digital Deluxe + Marvel’s Spider-Man PS4 EU/RUS1200 руб. Marvel’s Spider-Man + Far Cry 3 PS4 RUS1200 руб. Assassin's Creed Odyssey+Spider-Man+3 TOP GAMES (USA) PS41299 руб. Redemption 2+ Spider-Man+ God of War+ Uncharted 4 PS4 RUS1299 руб. Marvel’s Человек Паук + FIFA 19 + 3GAMES PS4 EUR/RUS1300 руб. Marvel’s Spider-Man+FIFA 19+DOOM+STAR WARS II (PS4) RUS/EUR1300 руб. God of War™ + Человек-Паук + NFL 18 + 8 ИГР PS4 РОССИЯ1300 руб. Marvel’s Spider-Man + RDR 2 + Far Cry®5 + GoW + Games PS4 EN1300 руб. SOULCALIBUR VI/Marvel’s Spider-Man/God of War and.PS4 EUR1399 руб. Marvel's Spider-Man+God of War+Black Ops 4+2 GAMES (USA) PS41399 руб. Spider-Man+The Crew® 2+Jurassic World+NFL 18 PS4 USA1400 руб. Red Dead Redemption 2 + ТОП ИГРЫ PS4 Русский перевод!1400 руб. Marvel's Spider-Man + God of War | UK | PS41400 руб. Fallout 76 + Anthem + God of War + 7 TOP GAMES PS4 USA1400 руб. PS4 Devil May Cry 5 Deluxe, Marvel Spider-Man, MONSTER USA1400 руб. Darksiders III + RDR 2 + Spider-Man PS4 USA1400 руб. Red Dead Redemption 2 + Spider-Man+ Just Cause 3 PS4 RUS/ENG1400 руб. Marvel's Человек-паук Deluxe+A Way Out+No Man's Sk (RUS) PS41449 руб. Assassin's Creed Odyssey +Marvel's Spider-Man + ИГРЫ PS4 ENG1499 руб. Assassin's Creed® Odyssey+God of War+3 TOP GAMES(USA) PS41500 руб. Marvel’s Spider-Man Digital Deluxe Edition PS4/EUR Россия1500 руб. SOULCALIBUR VI/Marvel’s Spider-Man/GOW/TEKKEN 7 and.PS4 EUR 1699 руб. PS4 Red Dead Redemption 2+Odyssey - GOLD EDITION+TOP EUR/RUS1700 руб. Red Dead Redemption 2 RUS + 1 GAMES |EUR| PS41799 руб. 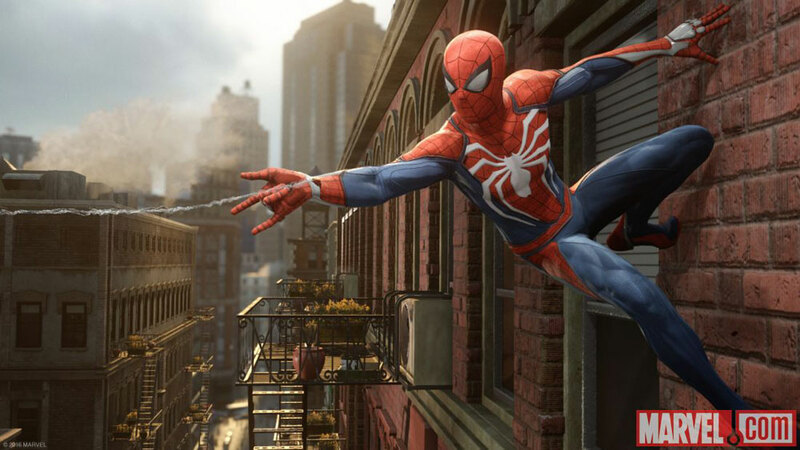 Spider-Man PS4 Человек Паук 2018 полностью RUS АРЕНДА 7 дней190 руб. Spider Man / Человек Паук (PS4/RU) (Аренда 7 дней)199 руб. Marvel's Spider-Man (PS4/RUS) Аренда 7 суток250 руб. 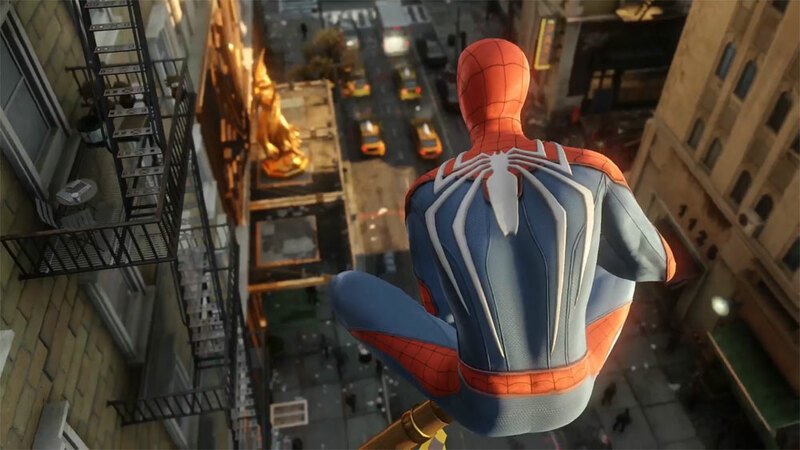 Spider-Man PS4 Человек Паук 2018 полностью RUS АРЕНДА 7 дней255 руб.